JLG/JLG: autoportrait de décemebre is, as its title suggests and a voiceover within the film confirms, not intended as an autobiography of its subject and maker, Jean-Luc Godard, but a self-portrait. The difference, as with so many of the linguistic distinctions that Godard makes, is subtle but important. Biographies and autobiographies are attempts to explain, to trace a progression of events that together make up a life, to provide facts and details and tell stories. A self-portrait implies a very different way of documenting a person's reality: through the way they look, the impressions they convey, a gestalt of the ideas, images, and emotions that make up a life. As documentary impulses go, it is clearly the latter that is more attuned to Godard's general philosophy of making films, and JLG/JLG delivers on its promise not by providing facts or details about the filmmaker's life, but by presenting a portrait of the way he works, the way he thinks, the kinds of things that interest him. In this way, it is not especially different from the films Godard had been making since his return to cinema in 1980 with Sauve qui peut (la vie). The more of Godard's films from the 80s and 90s I see, the more I'm convinced that his work from this late period is best understood not in terms of individual films, but as one massive body of work, with ideas and images from one film flowing seamlessly into others. 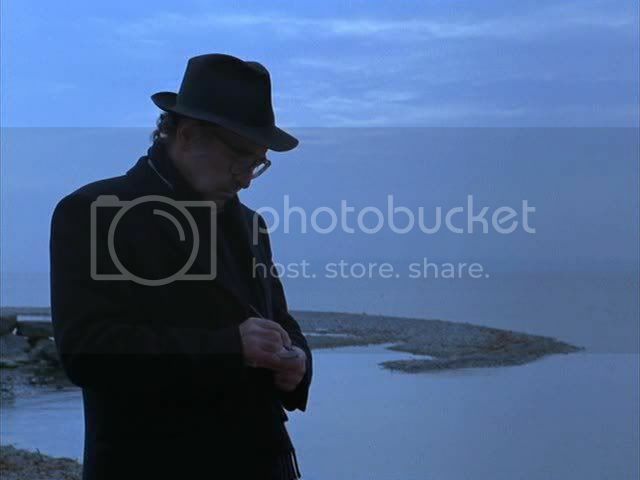 All of Godard's late films have an impulse towards self-portraiture, and the Godard glimpsed, often fleetingly, in JLG/JLG is part of a continuum that includes the thinly fictionalized, possibly crazy former director who shows up as Maruschka Detmers' uncle in Prénom: Carmen, as well as the cinematic prophet Professor Pluggy from King Lear, with his hair a tangle of video cables. The director in JLG/JLG is very closely related to these earlier incarnations; the main difference lies in the lack of a narrative context for him to exist within, but even so this supposedly documentary film contains obviously fictionalized sequences. The divide between JLG/JLG and Godard's other films becomes even more tenuous in that the film explicitly references other Godard projects, including ones he was working on at around the same time. The film documents two stages in the filmmaking process explicitly: writing and editing. A third stage, filming itself, is implicitly recognized in the film's direct engagement with the process of capturing images  Godard frequently places cameras and video monitors within the frame, creating images within images as a form of visual feedback. In one scene, Godard films himself lighting his ever-present cigar, while a video monitor displays the filmed image in real-time. This visual layering creates an interaction between Godard's space, the space represented by the video monitor, and the third space represented by the film JLG/JLG, which attempts to capture both the reality and the video in the same frame. Godard's cinematic project, in the general sense, might be described as a series of attempts to get away from the idea of directly filming reality  rather, he wants to film himself filming reality. Or, as is often the case in his fiction features, to film himself filming someone else who is filming reality. As convoluted as this progression might be, for Godard there could be no more honest way of making a film, by acknowledging at every point the fact that he is, indeed, making a film. In this case, the film that he is making is not only JLG/JLG, but his video essay Je vous salue, Sarajevo, and his contemporaneous feature Hélas pour moi, to which this self-portrait is a companion and a response. These two earlier films are present in various stages of completion, so that the film as a whole traces the progress of a film from initial conception through shooting to the editing table. The film's structure is as obscure, elliptical, and rambling as any of Godard's late films, so it can hardly be called a clear-cut document of the director's working methods, and yet it nevertheless provides a real sense of how he envisions each stage in the process. Je vous salue, Sarajevo, a two-minute film in which Godard comments on a photo from the Baltic conflicts of the early 90s, is represented by a sequence in which Godard appears to be writing the monologue that forms that film's voiceover. He sits at a desk, thinking aloud, elucidating his dialectic between culture ("the rule") and art ("the exception") as he scribbles on a piece of paper and rifles through paperbacks for quotations and references. Writing and reading are very much present in this film, which is appropriate for a director who has always thought as much in terms of literary as cinematic reference points. Godard is often writing or reading while on screen; the walls of his apartment, in which much of the action takes place, are lined with shelves of books. Later in the film, there is a fictionalized sequence in which a blind woman comes to work for Godard; the job she takes on, somewhat perversely, is the editing of Hélas pour moi. This is not simply a bad joke, but a commentary on the qualities that Godard values in editing. As he goes over a sequence from the film with his editor, he stresses not the visual attributes of the individual frames of film, but the rhythms between events and the mathematics of cutting. The blind editor is able to sense these qualities without seeing what's on the film; she passes a strip of celluloid between her fingers, counting off frames and sensing where to cut in this way. As a metaphor for the intuitive way in which Godard understands the editing of his films  which often hinge on visual non-sequiturs like his frequent inserts of nature shots  this is a nearly perfect summation. It also provides a hint of the way in which Godard obscures and decentralizes narrative by dividing up a single scene with the editing. As he describes a scene from Hélas here, he places dozens of frames in between two halves of a character's sentence, using editing not to clarify but to confound. In some ways, his self-portrait also seems designed to confound, and especially to confound those hoping for a traditionally autobiographical film. Godard had played with these kinds of expectations before, when he titled his particularly obtuse and allegorical 1990 film Nouvelle Vague after the film movement founded by himself and other young Cahiers du cinema critics in the late 50s. In JLG/JLG, Godard himself barely appears for the first twenty minutes of the film. 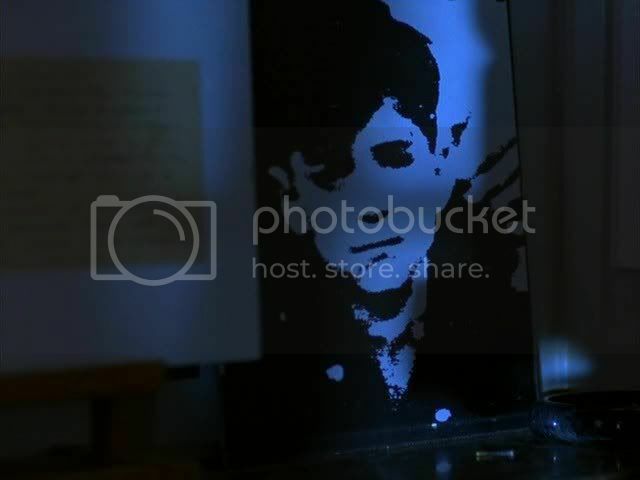 The opening shot introduces the director in two different indirect ways: on a shelf there is a photo of him as a young boy, and a shadow falls across it in the distinctive outline of the director as an older man. This opening image encompasses the gap between the boy and the mature man, thus suggesting an autobiographical narrative that would make sense of the transition. But this is the only way in which Godard appears in the film for some time after this first shot. Many of the opening images are placid, languid shots of the seemingly empty interior of Godard's apartment. These images suggest the director in his absence, documenting the signs of habitation and the curious stillness produced by his missing form. A camcorder sitting on a table films the view out a window, and a TV set forms another frame for images within the frame of the larger film. In one particularly playful cut, Godard juxtaposes the TV monitor with a painting hung on the wall; the TV's borders and the picture frame are both frames within the film frame, containing images. Godard's understanding of the image is increasingly founded on the equivalence of images originating from various sources. This is true, not only of the way he erases the divide between cinema, television, and video, but of the way he incorporates paintings and still photos into his work. In one scene, the camera pans across a table littered with postcard-sized reproductions of paintings. The scene echoes all the way back through Godard's filmography to a scene from Les Carabiniers where soldiers returning from war produce postcard images of world treasures as representations of the loot they plundered. The later scene does not have the undercurrent of acquisitiveness that Godard is mocking in the earlier film  Godard does not wish to own the paintings he looks at  but it retains the earlier film's contention that images can stand in for the thing they represent. This hyper-reality of the image is thus a founding principle for Godard's cinema, and especially important in his understanding of himself. At one point, he worries that his attempts to capture political conflicts in images (represented by shots of La Chinoise playing on a TV monitor) may have had unintended real-world consequences. Representation and image-making is of crucial importance for Godard, and a large part of this film's purpose is the explication of what images mean and have meant to him over the course of his career. In this way, JLG/JLG comes close to fulfilling its autobiographical brief even if it dances around its subject in characteristically enigmatic ways. 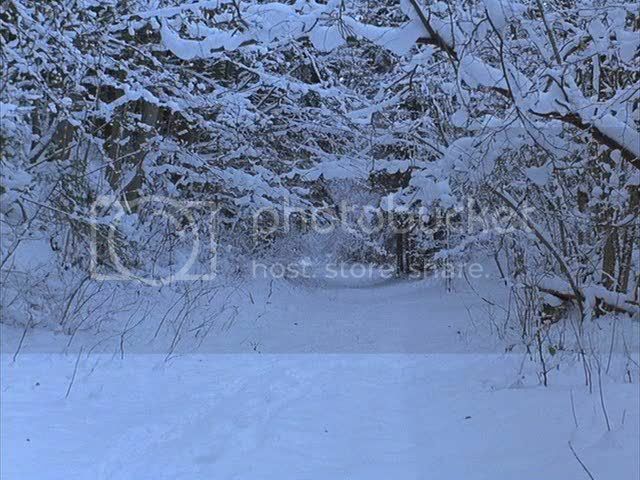 The film is a mood piece that attempts to capture the essence of Godard, a quality that it suggests just as clearly in its wintry landscape shots and near-abstract interludes as it does in the shots that actually feature the director. The landscapes of Godard's surroundings play an important role in this film, which seems to have been filmed in many of the same locales as Hélas pour moi, probably near Godard's Swiss home. This is not as much of a landscape film as Hélas, but rather uses the periodic (and dazzlingly beautiful) inserts of snow-covered vistas as visual contrast against the hermetic and often shadowy interiors of Godard's book-lined apartment. In some shots, Godard takes the film's darkness to its logical extreme, shooting scenes where the only light comes from a flickering match that continually burns out and needs to be replaced. 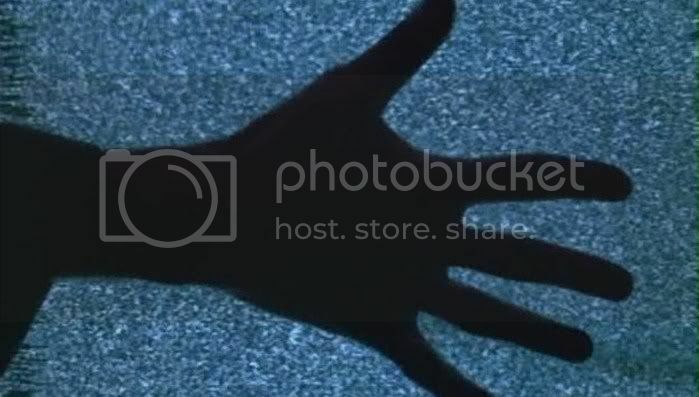 These scenes become abstract studies in light and shadow, with Godard's face or some other image occasionally emerging from a flickering darkness that serves as a low-rent stand-in for the flicker of a movie projector. As befits a man of such complexity and mystery, Godard's self-portrait is dense and erudite, packing as many ideas and images as he can fit into the space of an hour. The film addresses, in passing, many of the ideas that Godard had addressed and would address much more fully in other films, and the effect is something like a Godard primer, a précis of the concerns and thoughts that animate his filmmaking. True to form, there are mystifying and even aggravating elements  why does he have a leggy model parading around his apartment, a maid in cut-off jeans, other than to satisfy some pervy old-man urges?  but the film as a whole is as thought-provoking as anything he has made. Godard is his own best subject, and through himself he examines the cinema, political history, art, commerce, and religion. This is true of all his best films, and it is especially true here, when he explicitly turns to self-portraiture for the first time. Godard has a whole thing going about blindness. He released the soundtracks (the entiire film soundtracks) of Nouvelle Vague iand Histories du Cinema in order that the blind can "see" them. I think alongside the NOUVELLE VAGUE compact disc release from ECM there is a little text or interview with a blind woman that reviewed (re-heard) the soundtrack before its offical release - i can doublecheck if someone is interested? Nice take on Godard in your last posts - however, what i personaly miss is a point or a more concrete aim. You give a pretty good over all description of JLG and HELAS but i think it would be way more enlightening to take care about some special and significant subjects of each film instead of giving an overview. For example Godards take on "The rule" and "the exception" (that you pointed out!) would, imo, make up a wonderfull topic for some kind of essay and would still give enough room for some more general descriptions, e.g. a kind of overview on the film. These are just my personal thoughts on and around Godard - no offense or serious critique intended!!! On the contrary-I really enjoyed your last posts and please keep up the GOOD writing! I have the Histoire(s) du cinema soundtrack, mainly for the nice hefty set of books reprinting the voiceover texts. I haven't listened that much to the actual CDs, but they do make for an interesting experience as a purely aural work -- especially since I don't understand more than a few words and phrases of French here and there, and can only appreciate the layering and treatment of the sounds. I would venture that a French-speaking blind person might get quite a lot from these soundtracks, since the films are so reliant on words and music, and the soundtracks are arranged in such dense, textured ways. Thanks for the interesting comments, Accatone, you're right on target. Unfortunately you won't be seeing many literary cross-references here, since I really lack the philosophical and literary grounding to go into much depth on that aspect of Godard's work. I would agree this is a limitation on my part, but then Godard's late films are so complex and draw on so many different disciplines that I think virtually anyone who approaches these films is going to be doing so from a limited perspective and will only see and understand certain aspects of the film's whole. Multiple viewings doubtless help in seeing the films from slightly different angles. I like your idea about delving further into Godard's take on culture vs. art (the rule and the exception), and I may do just that at some point soon. It's a topic that runs through several of his late films, and will probably require re-watching his last three or four features as well. In the meantime, I plan to spend the next week or two writing mainly about Godard's 70s, 80s, and 90s films. Hopefully subsequent essays will delve further into some of these issues, as these films tend to run over similar ground. of course i did not want to imply anything like "you need this and that" philosophical or whatever background to approach Godard and i whole heartfully agree that anyone can only get bits and pieces but then on the other hand vitually anyone can get at least something out of it. However i think Godards work is always about the "expansion of the thought" so no one should detain himself from diggin deeper in these topics. I am looking forward to your upcoming text! Does the title and the subject allude to Godard's fellow French Swiss Protestant Rousseau's Rousseau Judge of Jean-Jacques? I have not seen JLG/JLG, but (and Godard is clearly extremely familiar with Rousseau) the title seems very evocative. Alex: Anything is possible with Godard's many literary and philosophical references, but I think the immediate reference for the title is likely a self-reflexive one. Godard's books of criticism and essays have usually been published under similar titles: Godard on Godard in English, Jean-Luc Godard par Jean-Luc Godard in French. The implication of this film's title is thus a continuity between Godard's published writings and his films. Godard was a critic before he was a filmmaker, and to this day he tends to view criticism, filmmaking, and philosophical thought as intimately connected disciplines -- if not the same discipline.